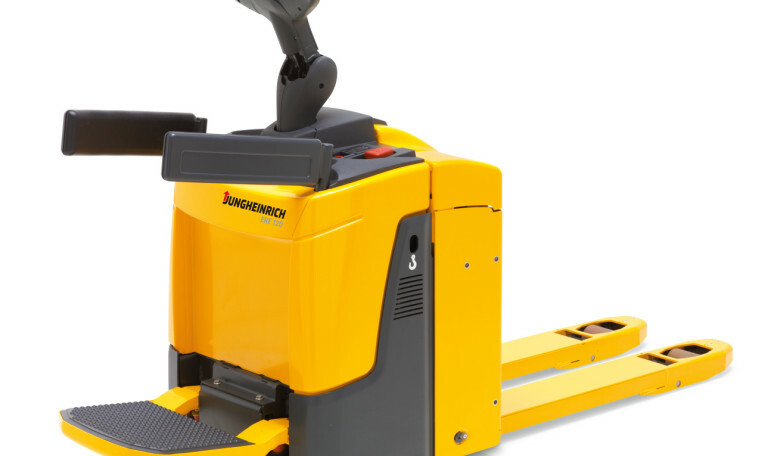 Use the Jungheinrich ERE 120n to increase the productivity of your goods transport. 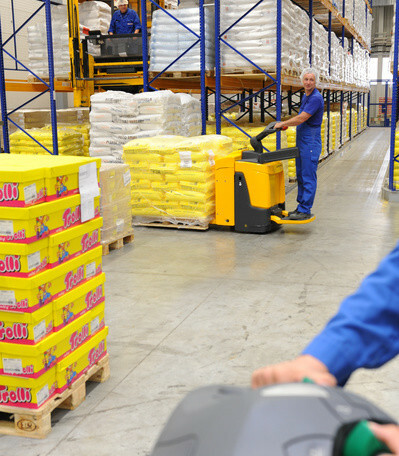 Thanks to the high speed it reaches in ride-on mode, goods can be handled efficiently, comfortably transported over longer distances and also picked as required. 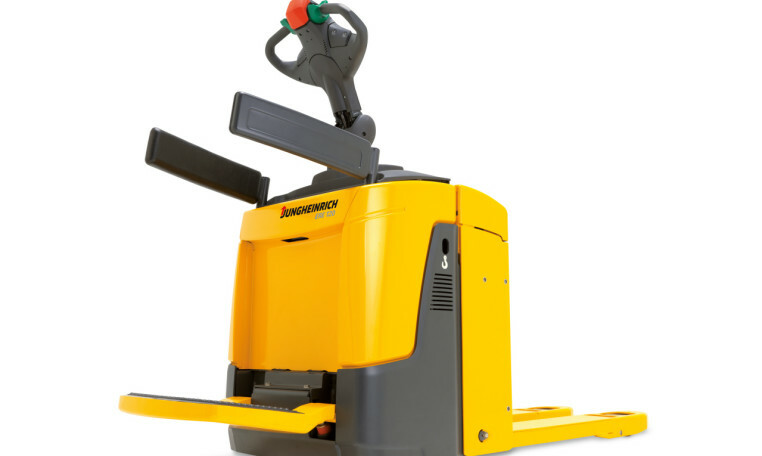 Thanks to its compact design, the Jungheinrich ERE 120n combines the manoeuvrability of a pedestrian truck with the speed of a ride-on truck, enabling you to improve the efficiency of your operations. In addition there is the 24 V 3-phase AC drive motor. Its improved efficiency ensures powerful acceleration and high speeds combined with low consumption levels. 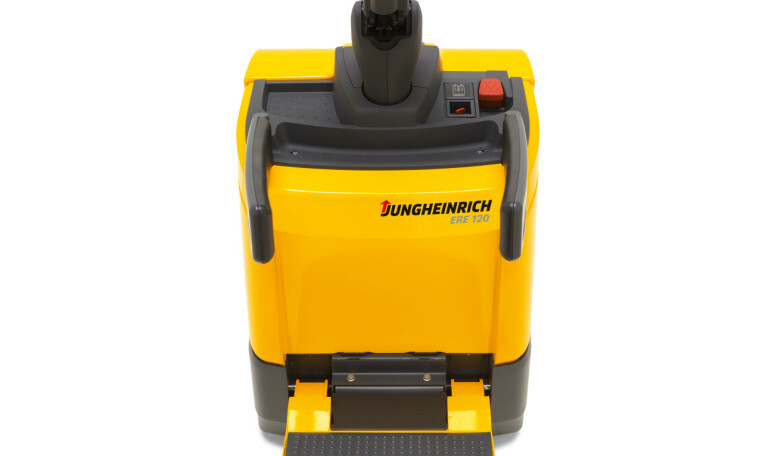 In addition to the soft sprung, folding platform, the entire drive system is cushioned with a ShockProtect suspension. The advantage: The vibrations and stress on the operator, goods and truck are significantly reduced. Safe travelling position when driving due to optional side restraints. These enable a higher speed of 8.5 km/h to be reached when transporting goods over longer distances. If they are to be used intensively over longer distances or for loading and unloading HGVs, batteries with a capacity of up to 375 Ah are available as well as the option of lateral battery exchange (optional) for multi-shift operation. 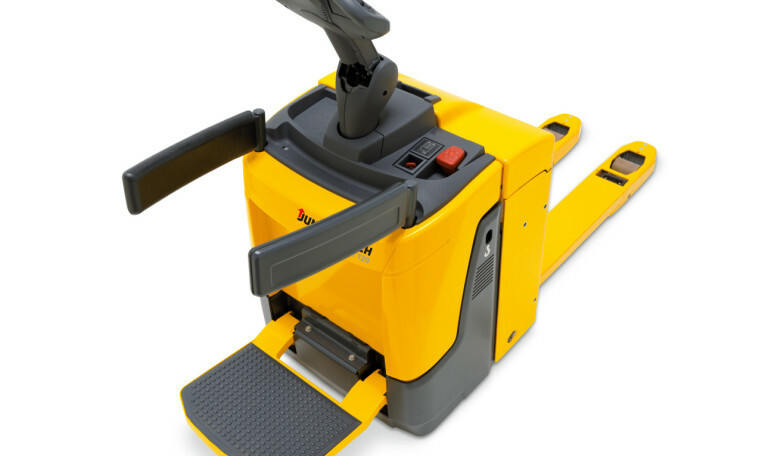 Use the ERE 120 to increase the productivity of your goods transport. 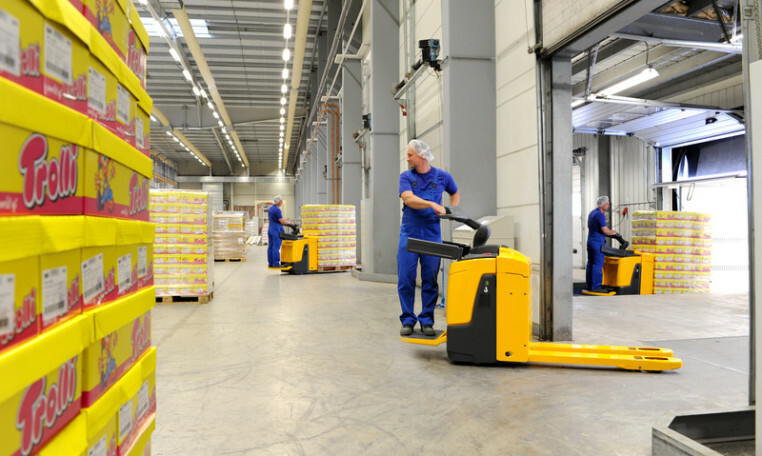 Thanks to the high speed it reaches in ride-on mode, goods can be handled efficiently, comfortably transported over longer distances and also picked as required. Thanks to its compact design, the ERE 120 combines the manoeuvrability of a pedestrian truck with the speed of a ride-on truck, enabling you to improve the efficiency of your operations. In addition there is the 24 V 3-phase AC drive motor. Its improved efficiency ensures powerful acceleration and high speeds combined with low consumption levels. Energy recovery through regenerative braking on deceleration. Speed of 4.5 km/h when stand-on platform is folded up. Speed of 6 km/h when stand-on platform is folded down. Speed of 4.5 km/h when stand-on platform is folded up and restraint system retracted. Speed of 6 km/h when stand-on platform is folded down and restraint system retracted. Speed of 8.5 km/h when stand-on platform is folded down and restraint system folded out. 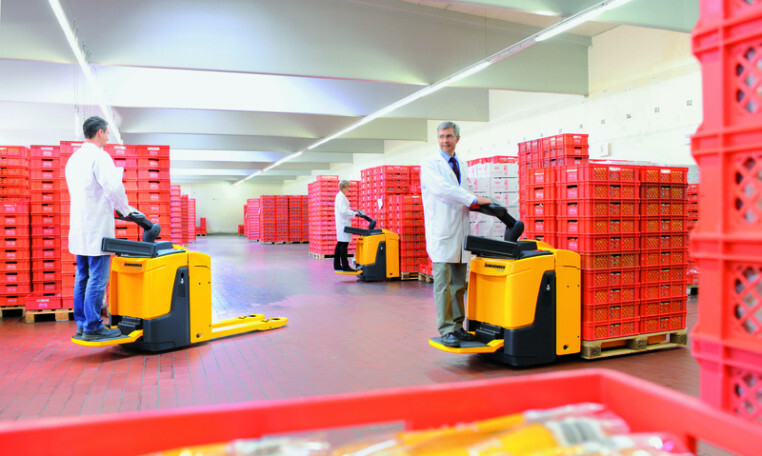 The ergonomic lift of the ERE C20 (optional) simplifies and accelerates order picking. Adjusting the lift height optimises order picking and light stacking operations. Comfortable height for order picking reduces strain on the back. Comfortable riding over short and medium distances. Use as a work table (752 mm high). Transports loads of up to 2000 kg (initial lift) or 700 kg in mast lift. ProTracLink: Sprung and cushioned support wheels – linked via a torsion bar – ensure safe handling in all driving conditions. ShockProtect: Additional sprung suspension provides protection for the operator, truck and load. Optimally adjusted to the load, the suspension cushions the operator and frame against harder impacts. CanDis provides information on battery charge status, hourmeter and service code storage (optional). CanCode facilitates activation of the truck via PIN, with the opportunity to individually specify authorised operators (optional). The adjustment options for the drive parameter settings allow for optimum adaptation to any application (optional). Easily removable components allow for ease of access to the units. Maximum speed only possible when forks are raised (optional). This reduces wear beneath the forks. Battery compartment M: 180 / 250 Ah. Battery compartment L: 300 / 375 Ah. Lateral battery exchange for both battery compartments (optional). Entry skids and entry rollers.